By coincidence I found out that a local dealer still has these mini flipper redemption games for sale. They're really NOS (new old stock), as the documentation included with the game has a date of 1992 on it. I don't have any more information about this game, even don't know what company made them.. I heard they were custom made and never intended to be distributed on a large scale. So what is it ? It's a mini flipper redemption game. Looking at its size and function I'd say it's a machine used on fairs, similar to the machines on this fair. For those who have never seen this type of attraction: usually multiple people play against each other at the same time and usually only the winner of a round gets points or gets to pick a prize. The game can be timed-based, sometimes you can't drain the ball at all. The game plays music from the Blues Brothers, a very catchy tune (a friend of mine even considers buying this game and changing the artwork to that of the Blues Brothers). If you score a point then some flashers go off and you get the specific redemption-game sound. This game is fun and addictive !! Someone who's interested in pinball machines will see this game has almost nothing to offer on the playfield. 2 flippers, 4 standup targets and a vari-target. Easy and boring you think ? Not ! The game is not easy at all, there's very soft rubber installed that makes the ball bounce around a lot. It's time based, so most of the time you can't wait until the pinball lays still on a flipper bat so you can aim for a shot.. and the sounds and lightshow are great. When I was at a friends house with this game we were waiting for someone to show up so we plugged in this game. This friend was very sceptic at first when he saw the playfield and I explained how it worked.. but after one game he was addicted ! He just couldn't stop playing, and every token earned went back in the game to start a new game to try and get a higher score ! 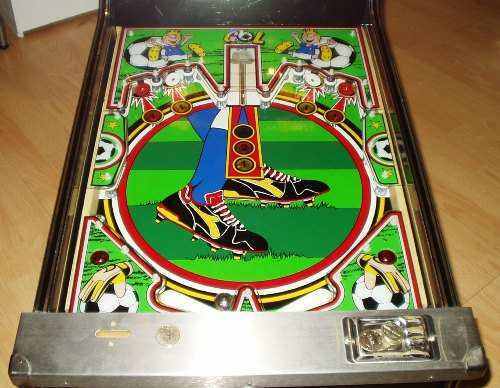 It's not a game that a skilled pinball player will play every day for many years, but its small size and easy rules (just score as many points in the time you have to earn tokens) make it excellent for children or when you have guest over.. I had this game in my gameroom and when guests came over it was played the most (also because no-one knew it and had to try it) ! There are some adjustments you can make, default time of play was set to 50 seconds, it can be changed from 15 to 99 seconds. And another important setting is how many tokens you have to enter to start a game (multiple tokens to start 1 game, or 1 token starts up to 5 games). The coins or tokens used to start the game go in a plastic coinbox in the front of the game, while tokens that are paid out are dispensed out of a hopper that's in the back of the game. 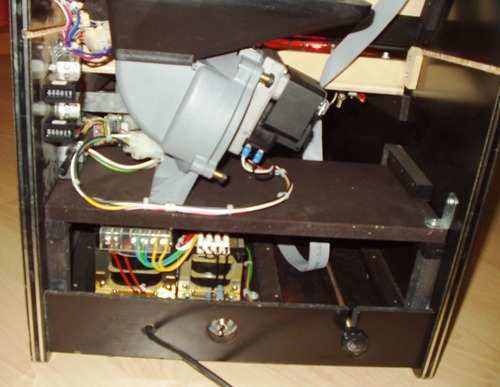 It's not a kids toy machine, as there's an ashtray on the lockdown bar.. and the quality of the parts is too good for this (the cabinet and playfield are made out of wood, real flipper parts are used, an expensive hopper, quality of wiring is also excellent). But it's fun and very suited as a toy machine for children now.. Update: the dealer told me the games sold originally for 1250 euro each ! 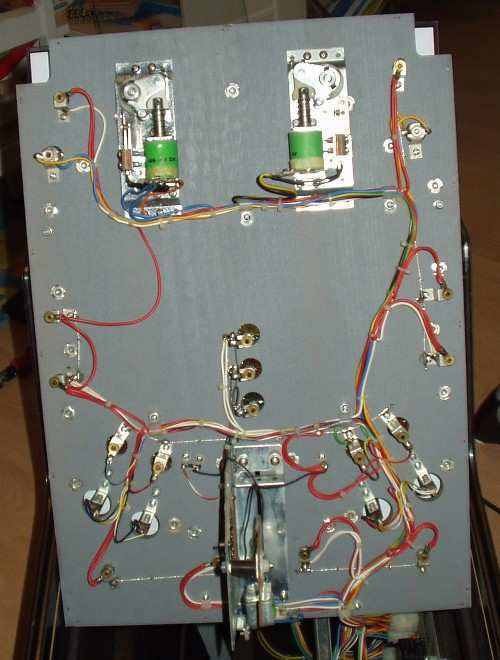 Playfield closeup.. looks simple and boring ? The hopper that dispenses tokens. 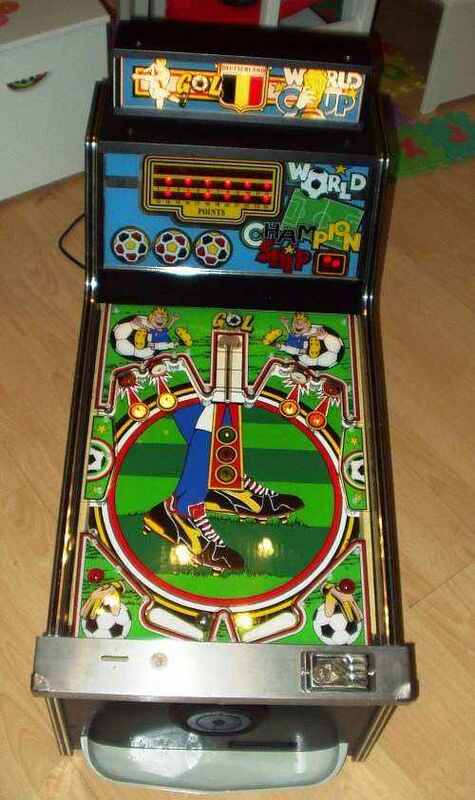 Bottom side of the playfield.. not a lot that can go wrong here. A look inside the cabinet. At the bottom left is the coin box. You can pull this towards the back of the game so you can take out the tokens/coins that are in it. 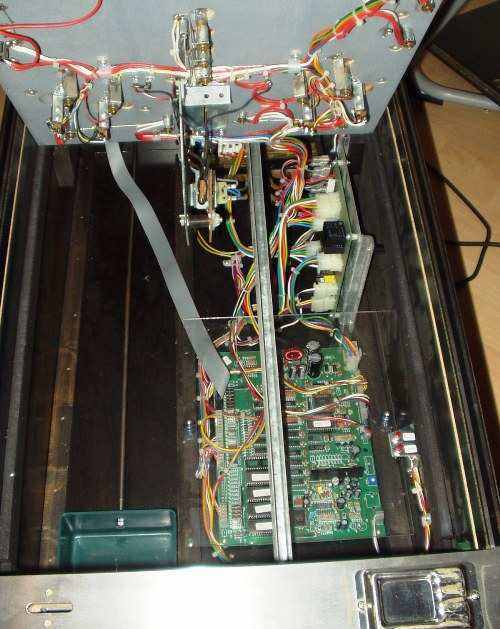 At the right is the main pcb that controls everything.